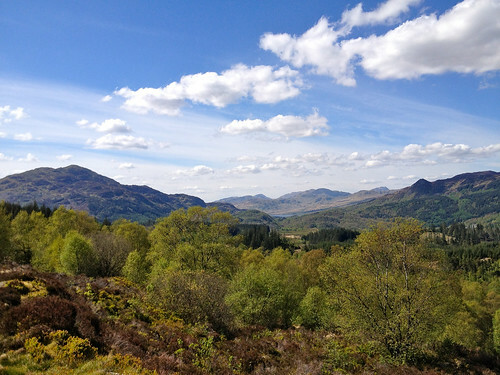 Classic one day tour that visits Stirling Castle, Loch Lomond & and the Trossachs. 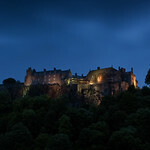 Balmaha, Loch Lomond, Aberfoyle, Loch Achray, The Trossachs National Park, Stirling Castle. 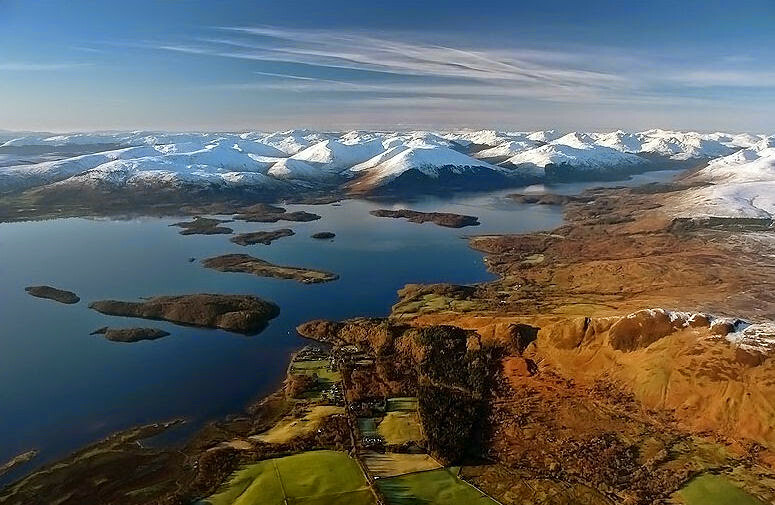 From Glasgow we drive via the picturesque Campsie Fells (A)which overlook Glasgow, passing Glengoyne Distillery, before making our first stop at Loch Lomond, (C) one of the prettiest and largest lochs in Scotland. 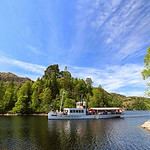 While here you can enjoy an hour long cruise* taking in spectacular views of the loch's many islands and the surrounding mountains. 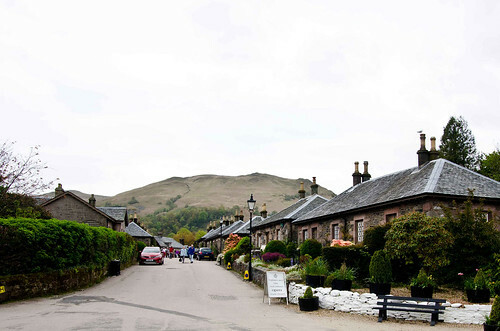 Alternatively, take a stroll through the picturesque loch-side conservation village of Luss, (D) with its quaint houses, cafes and stunning views across the loch's western shoreline. 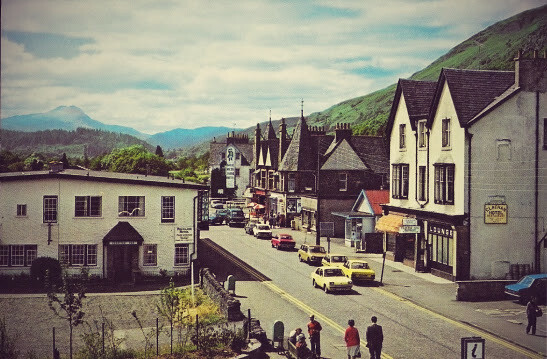 We then travel on for some lunch in the small village of Aberfoyle, (E) nestled in the heart of the beautiful Trossachs National Park, just below the Highland faultline. 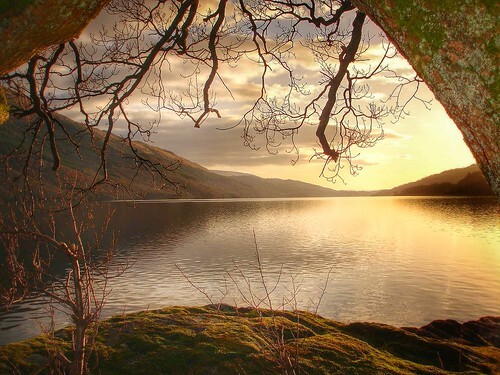 After lunch we continue our journey of exploration through the Trossachs - Scotland’s first national park, known as ‘the Highlands in miniature’ for its abundance of lochs, mountains and forests and the homeland of legendary outlaw, Rob Roy MacGregor. 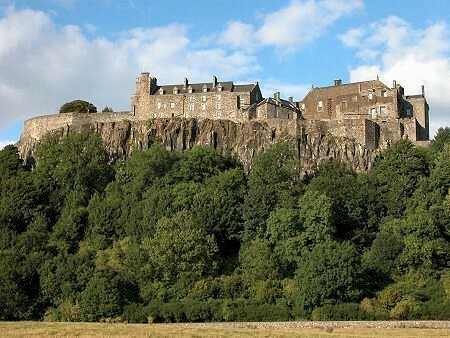 We depart for Stirling early afternoon and our last stop is the magnificent Stirling Castle, (F) sitting high on volcanic rock, offering wonderful views of the landscape. 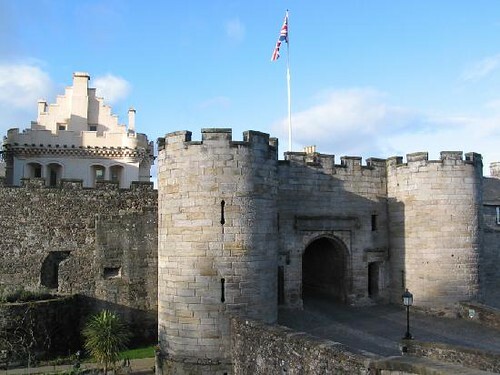 You will have time to visit the castle and learn of the exploits of key historical figures including William Wallace, Robert the Bruce and Mary Queen of Scots. 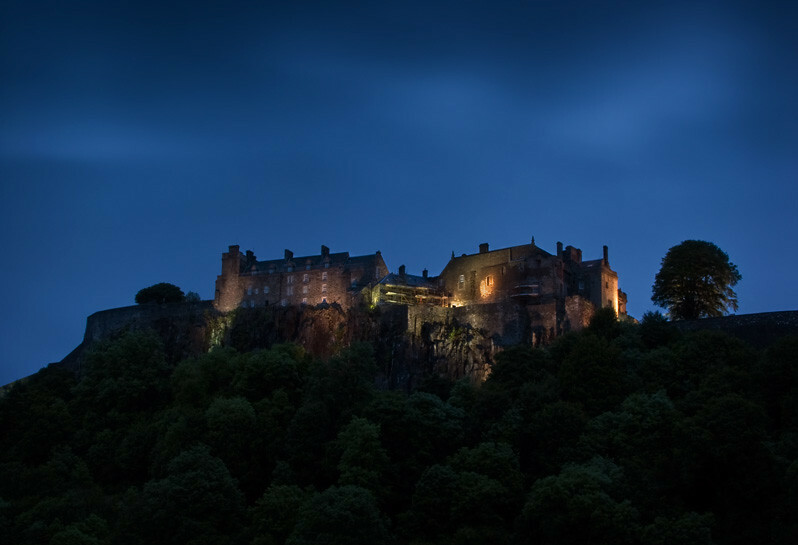 With lots of interesting things to see and do here, the Stirling Castle experience is well worth a visit. 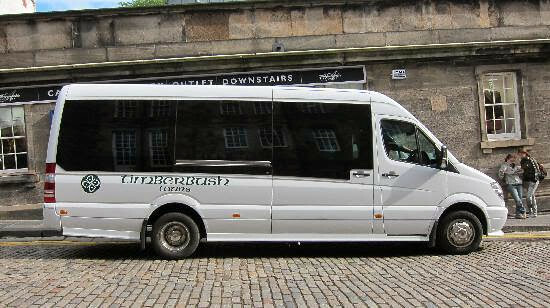 We then make our way back to Glasgow. 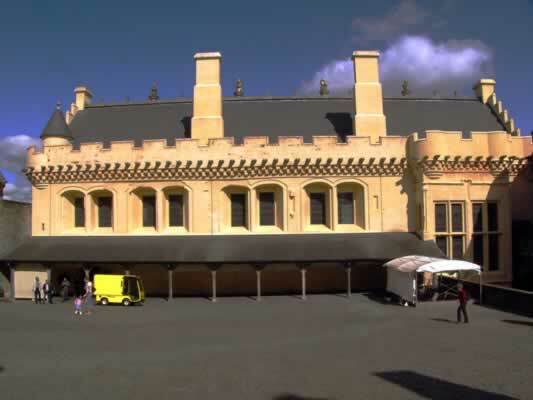 We went to Loch Lomond and Stirling castle. 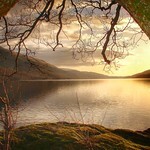 Though the weather was very Scottish - drizzling and raining - it was a revitalizing trip. 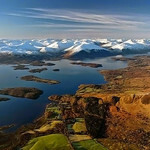 The stories told by the guide gave colours to the trip, and the scenery was both beatiful all those forests - and exciting the loch and the small village of Loss with it´s viking gravestone. The castle was a beatiful fortress with a poor exhibition and a rather tired military museum. It was well organized and perfectly prepared and served by the guide. This is good thing to do - in all weather. Phenomenal experience. 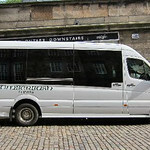 We took the tour starting in Edinburgh, driving to Loch Lomand and Stirling Castle. Our guide, Marty, was hilarious, engaging, knowledgeable, and entertaining. 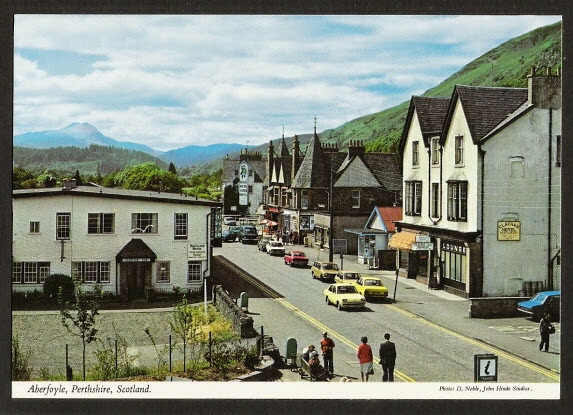 He told great stories about Scots, gave us an amazingly detailed and entertaining history about William Wallace, Robert the Bruce, and Rob Roy while we were driving, and then explained context for the places we visited with regards to those great Scots. The lunch stop was perfect- delicious and affordable options. 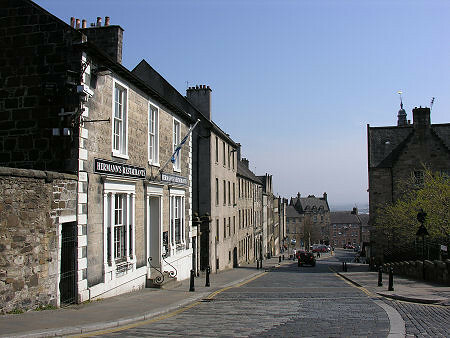 The stops at Loch Lomand and Stirling Castle were perfectly timed for exploration, tours, and enjoyment without dragging on. 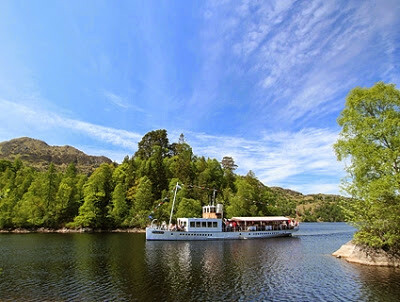 If you want to see the highlands and a gorgeous lake, and enjoy Scotland, this tour is perfect. 10/10. Will recommend to friends. 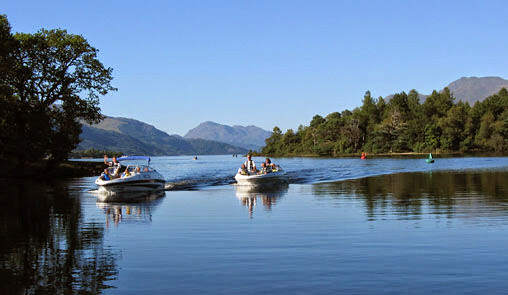 Fantastic tour of Loch Lomond, Stirling Castle and surrounding countryside. Our tour guide Laura was terrific and made the journey even more interesting with her tales of Robert the Bruce, Rob Roy and King Edward. She was very knowledgeable and entertaining. Great way to spend the day. Laura was an exellent guide, very knowledgeble and funny, we were concerned about the boring transport part of the tour but in reality those parts were the most amazing one! Prices shown are for transport and driver-guide only. We offer a discount for children between 5 and 16 years, students (you must show your student card) and seniors (adults 60 years old and over). Children under 5 are not carried on any tour. Rates vary across the year. Click on the 'Book Now' button to check availability and make your reservation. Enter your dates and ticket requirements and complete the details for immediate booking. Email Voucher should be with you in less than a minute. 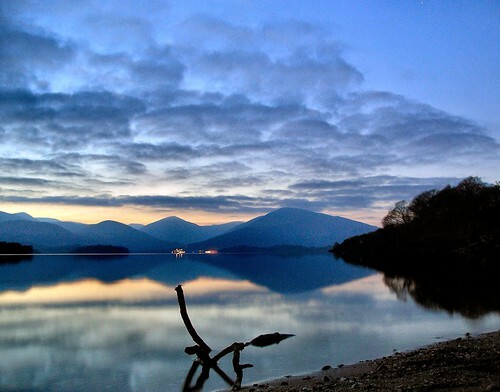 Balmaha located on the East Shore of Loch Lomond is a great stopping off point at the foot of the Conic Hill. 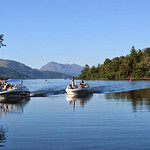 This beautiful place has been slowly transformed into a popular tourist destination on the Loch. Balmaha is an ideal spot for walkers on the West Highland Way. 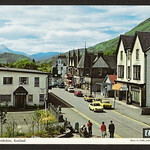 The name Balmaha is said to be originated from the Gaelic from the St Maha’s place giving the village an ancient origin. 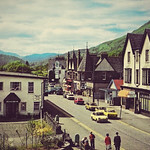 Small traditional village on Loch Lomond that is a heritage site protecting its pretty streets. 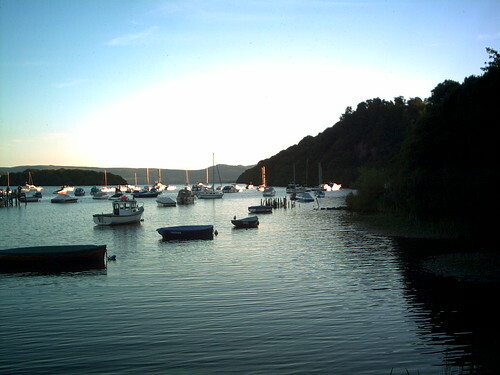 The Loch Lomond cruise boats depart from pier here.